Clevester O. Wimbish was born and raised in Washington, DC to Lydia and the late Eppie Wimbish. He was educated in the public schools of the District of Columbia. Dr. Wimbish worked in the family business for over twenty years and for fifteen of those twenty years he held the title of Vice President and Treasurer of Wimbish Enterprises, Inc. He married Diane Long, May 10, 1976, and together they have three children. He graduated from the Washington Baptist Theological Seminary in 1985. The Washington Bible College in 1989 and received his Master's and Doctoral Degrees from The Howard University School of Divinity in 1998 & 2001 respectively. Most importantly he is a born again, baptized believer in Jesus Christ. At an early age he accepted Christ and joined the Mt. Joy Baptist Church in Washington, DC. 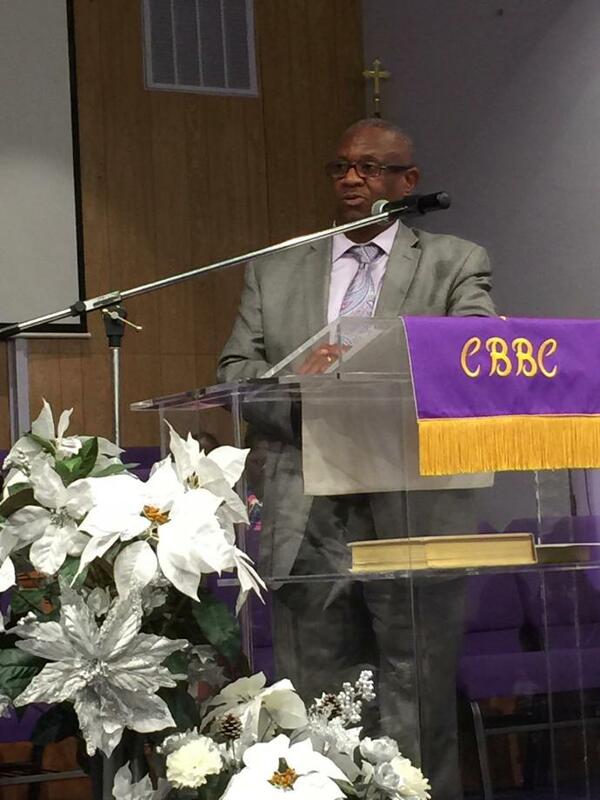 He was licensed to preach the gospel in 1981, and was appointed Youth Pastor in 1985. He was ordained in 1989, at Mt. Joy under the leadership of Rev. Bruce Mitchell, his current pastor. In 1989, with the blessings of his pastor and church members, Dr. Wimbish organized the Community Bible Baptist Church,where he is currently the Senior Pastor. He is currently the Dean of Student Affairs at the Washington Baptist Theological Seminary where he also teaches. His professional affiliations include: Membership with the Washington Baptist Convention, USA, Inc., The Lott Carey Convention, The Ministers Conference of Washington, DC & Vicinity and The Biblical Institute for Social Change. In 2000, Dr. Wimbish organized The Good Samaritan Community Resource Center, Inc., a faith based community development corporation, where he serves as CEO/President for the empowerment of the community. Dr. Wimbish has worked with local and national elected officials for the advancement of the Kingdom of God.